Hyundai is celebrating the first year anniversary of the hugely popular Grand i10 Hatchback. The Grand i10 has been a huge hit for the company since it was launched on 3rd September 2013 selling over 1 Lakh units, and so is the consequent sedan based on it, the Xcent. The Hyundai Grand i10 Sportz Edition celebrates the first year anniversary of this segment changing product. “We are delighted to introduce the ‘Sportz Edition’ of Grand amongst customers to celebrate this landmark. We thank our customers for showing strong confidence in brand Hyundai and making Grand a huge success in India. Grand which has created a benchmark in quality, features and technology offering higher value proposition has been well appreciated by the auto fraternity by being the most awarded car of 2013. Grand has created a new benchmark in the automotive industry by foraying into the list of top 5 most selling brands in India within the first month of full production. Grand achieved a milestone with the delivery of 100,000 Hyundai Grand cars within 10 months of its launch making it the fastest car to achieve this landmark in India.” Said Mr Rakesh Srivastava, Sr. VP, Marketing and Sales, HMIL. 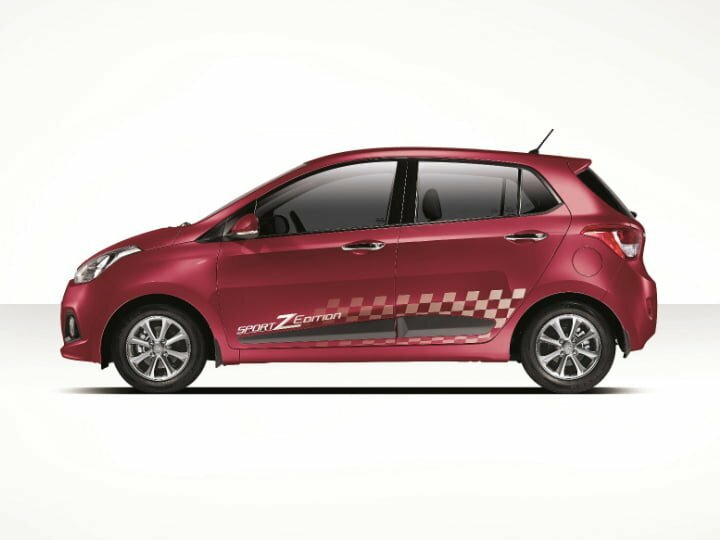 The Grand i10 Sportz Edition, like most ‘limited edition’ cars launched in India is a cosmetic job. Changes made to the car on the outside include new 14-inch alloy wheel design, ‘sporty’ body decals, ‘sportz edition’ badging, rear-spoilerand blacked-out B-pillar. Inside, the black-and-beige combo has been replaced with black-and-red. The seats get the same dual-tone treatment in cloth. Features include Bluetooth connectivity with the media-player and steering mounted controls for playback and calls. Engine and transmission options remain the same as the standard car, no surprises there. 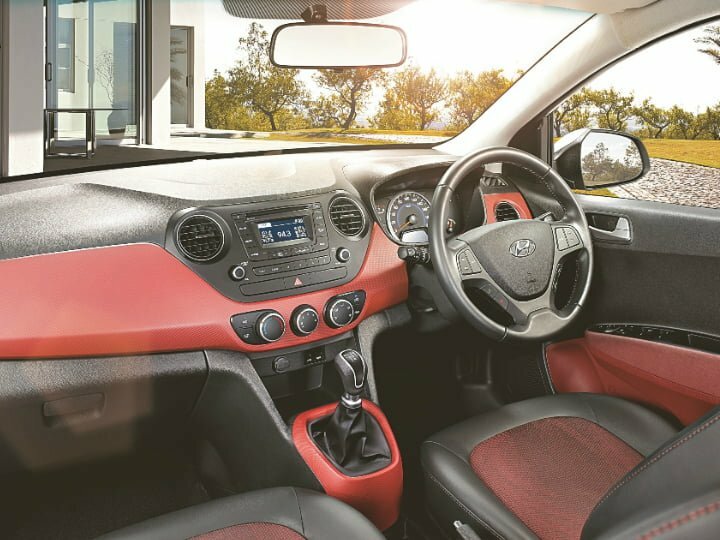 The Grand i10 Sportz Edition gets the 1.1-litre, 70 BHP / 160 Nm CRDi diesel motor or the 1.2-litre, 82 BHP / 115 Nm Kappa petrol engine. What do you think of this special edition? Let us know in the comments section below.